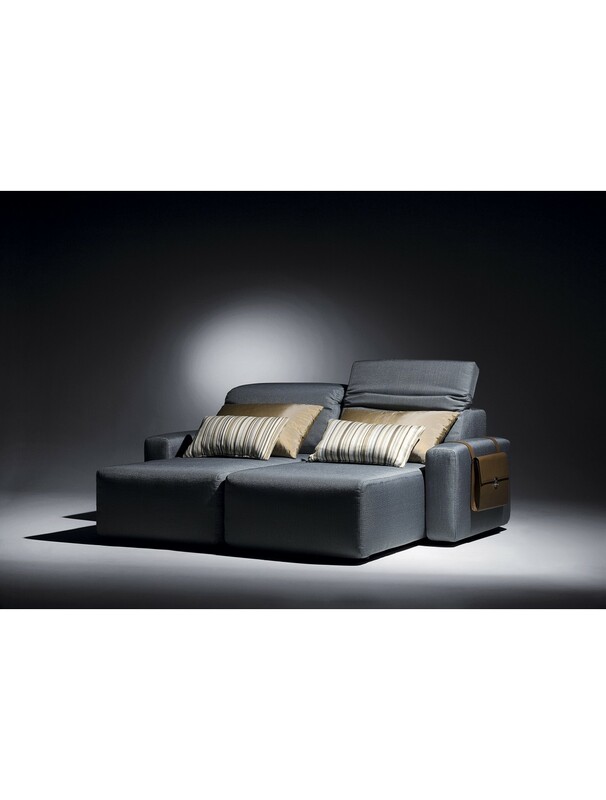 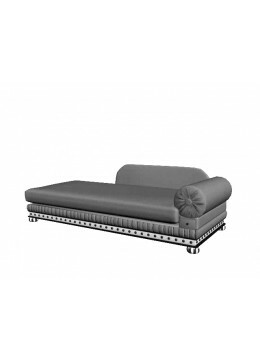 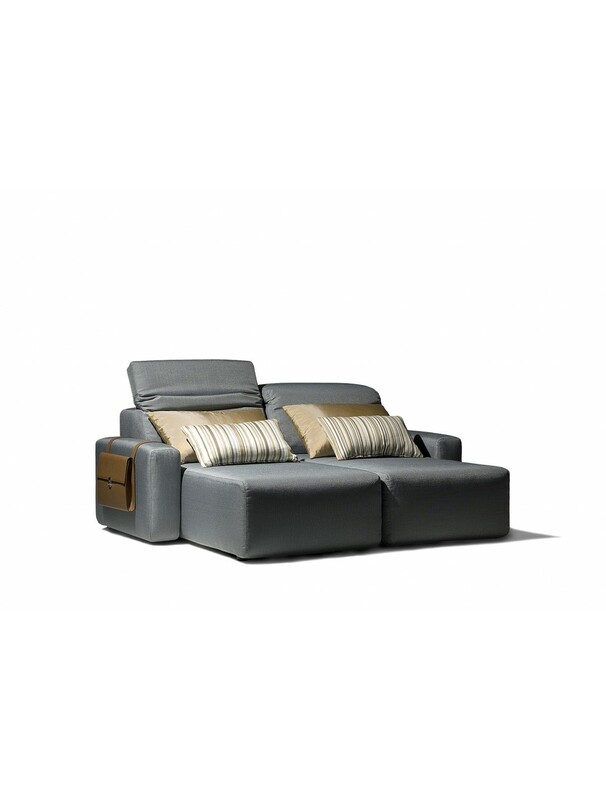 COSMOPOL DOUBLE CHAISE LONGUE 2 ARMS, C.O.M. 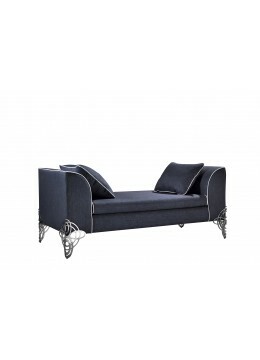 ROYAL 3 SEATER SOFA, WITH TWO LOOSE 50D. 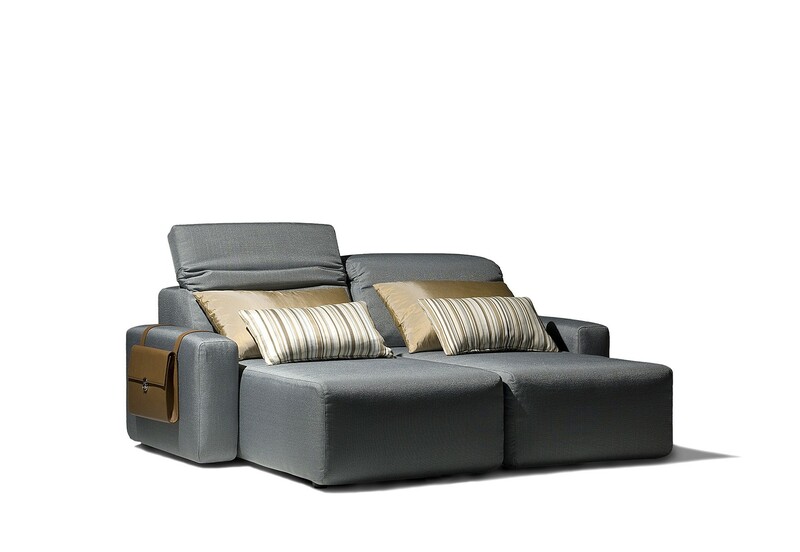 ROUND CUSHIONS, BRASS HARDWARE, C.O.M.